The actress' sis had a surprise waiting for her on her birthday. Kriti Sanon and Nupur Sanon share a typical sisterly bond. The sisters make sure that they don't let go of any opportunity to make the other feel special. Kriti particularly is protective of Nupur, and makes sure that her wishes are granted most of the time. On December 14th, Nupur celebrated her birthday and she got the most pleasant surprise gift from her older sis; a puppy that she always wanted. 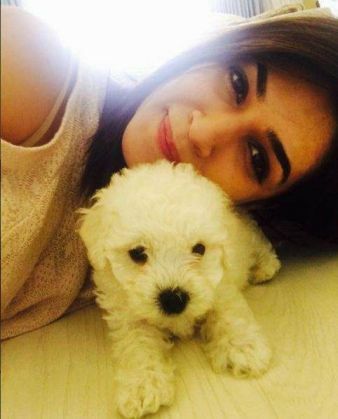 Kriti chose to gift Nupur a two month old Bichon Frise breed puppy, and last heard Nupur was so engrossed with her pet that the's forgotten everyone else. The sisters have decided to call the new pet, Disco. Kriti also posted on her Instagram, "Meet DISCO️️ new and the cutest member of my family!! #munchkin#puppylove".